GALION — For the first time since Home Care Matters Home Health and Hospice first opened its doors in 1985, there is going to be change in leadership. Long-time executive director Bertha Maglott will retire from her position of 32½ years on April 6. Maglott was the only employee when the non-profit organizations first opened its doors. She came fresh from a career as a RN at MedCentral Hopital in Mansfield looking for a change of pace, but still wanting to be involved in the medical field. Maglott graduated from Ontario High School, but considers herself a Galion girl. Her family moved back to Galion in 1989 after she took the position with Home Care Matters. She graduated from MedCentral College of Nursing and spent many years working in long-term care ss an RN, and with the Visiting Nurses Association before she was given the opportunity with Home Care Matters. And once she started, she hasn’t looked back, except to consider the lives affected by the organization. The changes in health care over the years that she has been in the industry is not lost on Maglott, either. 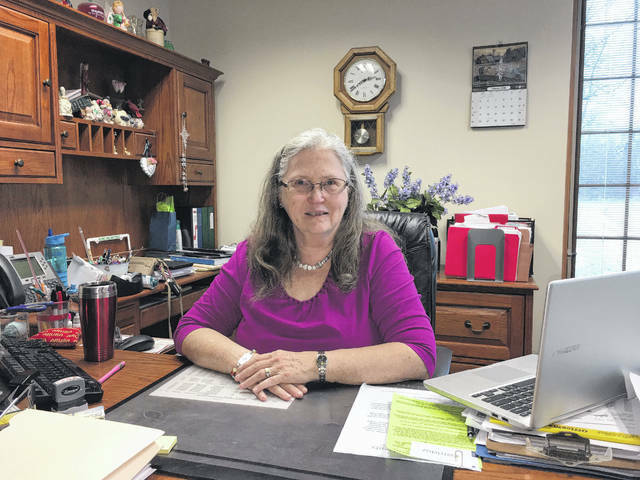 Another aspect of the changes Maglott has endured in her years as executive director, was a total of nearly 20 moves around theCrawford County area to different buildings until the current facility was built on North Market Street a few years go. Home Care Matters is now owned solely by Avita Health System, and employs 50 people. Home Care Matters Executive Director Bertha Maglott is retiring this week from her position of 32 1/2 years. An Open House to honor her career is planned for Saturday April 7 from 2-5pm. Erin Miller|Galion Inquirer. https://www.galioninquirer.com/wp-content/uploads/sites/38/2018/04/web1_29830790_10213489507530421_883369315_o.jpgHome Care Matters Executive Director Bertha Maglott is retiring this week from her position of 32 1/2 years. An Open House to honor her career is planned for Saturday April 7 from 2-5pm. Erin Miller|Galion Inquirer.